How has the year been so far for you guys? Following an incredible 2016 for Penguin Ventures, we started this year in a fantastic position and have continued to go from strength to strength as a team. We have been working closely with Sony Pictures on the development of a licensing programme for Peter Rabbit the movie and we have continued the momentum provided by the Beatrix Potter anniversary last year. 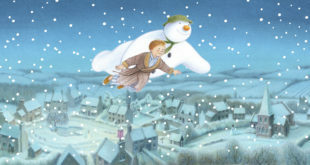 Earlier this year we brought The Snowman back in house and we are very excited to be developing plans for the 40th anniversary of the original Raymond Briggs’ picture book in 2018. We have grown the Penguin Ventures team and reshaped its structure to ensure we can operate as efficiently as possible and offer our licensees the very best support as a licensor. We have attended trade shows, awards ceremonies and we’ve travelled the world to showcase our brands to the widest possible audiences. We have had an incredibly busy and productive year! 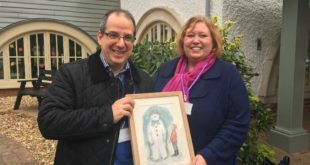 2018 marks an exciting year for Penguin Random House, with the 40th anniversary of Raymond Brigg’s original picture book, The Snowman. How will you be celebrating this milestone? 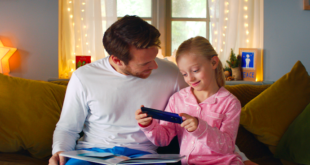 As a classic brand, The Snowman has cross-generational appeal and a huge fan base around the world. Penguin Random House will be celebrating the enduring nature of this timeless brand through a series of exciting partnerships and collaborations, by launching a range of limited edition products and publishing, and by offering a series of live events towards the end of next year. As well as the UK we will also be looking at how we can maximise the 40th anniversary internationally including the US and Japan. A huge sense of excitement is already building around the 40th anniversary of The Snowman brand with new licensees being signed up and existing licensees feeling re-energised by our plans for celebration. Are there any deals on the horizon for this brand? A huge sense of excitement is already building around the anniversary with new licensees being signed up and existing licensees feeling re-energised by our plans for celebration. There will be a high calibre of anniversary product across all categories as well as plans for a huge moment with one key retailer. A series of new immersive events will appeal to a wide family audience leading into Christmas 2018 and we hope to be able to announce details of these early next year. Everything is under wraps for now! You mentioned that you will be launching some live events to commemorate the anniversary. Can you tell me a bit about this? 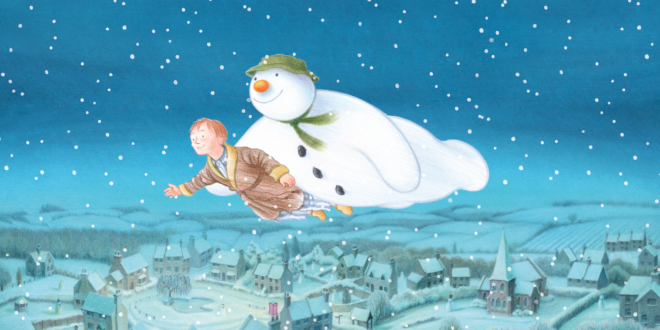 We’ll continue our tradition of working with our key theatrical partners and orchestras to offer Snowman fans a magical experience to enjoy at Christmas. We are also really excited to be working up some incredible new ideas with partners on live, experiential concepts that will allow fans of the brand to engage with The Snowman in an entirely new way. We are at an early stage of the creative treatment but these ideas look incredible and we can’t wait to tell you more in due course! Last year you celebrated the 150th anniversary of Beatrix Potter. Have you developed any new partnerships with licensees for this? Our partnerships with the Royal Mail and the Royal Mint were exceptional and we’ve been delighted to extend our Royal Mint partnership into 2018. Our agent Silvergate Media has also worked to build our TV Peter Rabbit licensee base as a result of the positive press around Classic Peter, so the anniversary really helped raise the profile of the brand with licensees, retailers, and consumers alike. Are there any other classic brands in your portfolio that will be making a statement this year? We’ve just released a brand new Flower Fairies style guide that focuses on taking the brand into the home and lifestyle area and it’s already proved really popular with existing licensees as well as allowing us to open up discussions with potential new partners. We also just launched the guide in Japan and look forward to seeing how our agent Copyrights Asia will work with licensees to create new product in the market. What’s next for you guys in the licensing space? We’re excited to be announcing some new brands at BLE so watch this space! That aside we recently came back from a two week market trip to Asia and there are some real opportunities to extend our footprint in Hong Kong, China, Korea and Japan which is testament to our brands and their international appeal and we’re really excited to have the opportunity to work with some new exciting partners, agents and retailers across the market. To discuss opportunities for The Snowman anniversary please contact penguin.ventures@penguinrandomhouse.co.uk or visit www.thesnowman.com.